How to check the connection status of your Nuki Bridge? 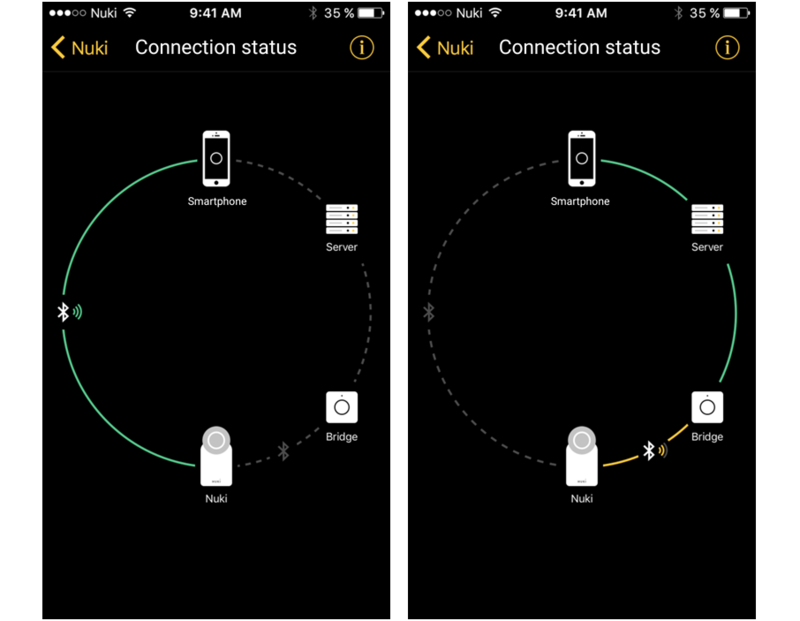 With the Nuki app you can view detailed information about the connection status of your Nuki Smart Lock. To view the connection status, tap on the desired Smart Lock in the Nuki app and enter the lock settings. Then go to “Connection status”. Email Support Send us an email, if you have any questions. Does Nuki fit to my door lock? Where can I buy Nuki? We understand that door locks can sometimes be confusing, and not everybody is an expert. If you have any questions about Nuki, you can call us Mon-Fri between 8am-8pm (CET) and Sat 10am-4pm (CET). Sign up to our newsletter to take 10% off your first purchase and stay up-to-date with product releases, upcoming events and offers.